We’ve just run another successful International Search Summit – and I’d like to take this opportunity to share with you what I think are the key takeaways. 1. 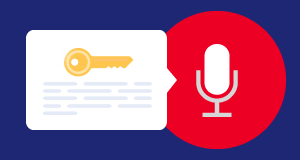 Be prepared: Take voice search really seriously! Technically, this is correct – but it also widely misses the point. My first piece of advice to you is to take voice search really seriously. Gary Illyes, the webmaster from Google, was surprised to hear that some (apparently ComScore) are saying that voice search will make up 50% of all searches in 2020. Gary didn’t believe those stats – and he does have better access to real-time information than most of us. But the stats don’t actually matter – what matters is the competition. If your competitors take 15% or 10% or even 3% of your business, would you be happy? Of course not and that’s a lot of money on the table – even if it gets nowhere near 50%, this is still a big opportunity – or a big threat if you don’t act! And assuming we don’t need to change anything is just as big of an error. You just need to try using one of the systems – Google Assistant, Siri, Cortana, Alexa – the list goes on. Then do two things – firstly imagine how you will use the system to make your life better – and then imagine what people might be asking of your business. Figure out what people will be asking you. Do all that magic SEO stuff to make sure you appear for the queries you should, e.g. schema mark-up, frequently asked questions, getting into featured snippets, meta content. Google Answer Box is a box that appears at the very top of the search results to answer a question that the user searched for. 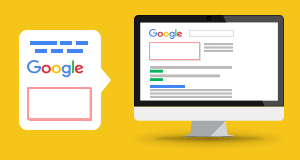 Having a Google Answer Box is a great opportunity to stand out from your competitors and to position your brand as a thought leader that shares industry expertise. Based on a set of keywords that you provide, we will review Answer Box results in Google to determine what type of content is being chosen by the algorithm to appear as the answer, and create content that could outrank the current result. Voice search is an increasingly popular way of finding information online. Offered by Apple, Google and Microsoft alike, it focuses primarily on queries based on simple questions about concepts, products or locations. One of our native search marketers will conduct keyword research for voice search in your field. You will receive a list of common voice search queries, along with additional data such as estimated daily search volumes. But numbers one and three are not simple. 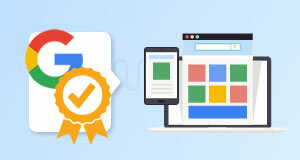 Webcertain has developed a support service to assist businesses to figure out – using tried and tested keyword research techniques – what people are searching for in each of your target languages to help you prepare for this. But be prepared. You are going to have to start thinking differently (and give those SEO bods a push) to look at things from a different angle – namely at arms length from a mobile device with no thumbs in use – as people think and act differently in this mode of behaviour. And no – analytics is not going to show this up clearly yet. As Gary Illyes also confirmed, you need to filter Search Console very carefully to find out what people are doing with their voices and you may not get a clear answer even then. Changing your business model and your thinking? Guess what happens when a user searches for your website and, thanks to a voice search, lands on your home page? Can they still interact with voice? Are they prepared to pick up the device and deploy those thumbs? What about all the visual cues you’ve been relying on – such as trust anchors – how do you replicate those by voice? Do you need a complete audio website now (that’s probably so, by the way)? And do you need to start and deploy your own voice chat bots to help things along using AI? When you have localised your website for a new target country but are experiencing a poor conversion rate, it is a good idea to check you are displaying culturally-appropriate trust signals (e.g. using the correct currency and localised language) as these encourage your audience to stay on your website. A native speaker from your target market will conduct a cultural and linguistic audit on your website, identifying positive and negative trust signals. And don’t forget if they’re simply asking for your phone number and to call you directly, you’re going to need to have your act together on all your possible Google My Business locations – wherever these are in the world and they should be fully optimised. 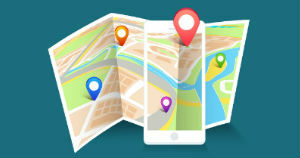 Registering for a Google My Business Account increases the visibility of your brand locally and provides a significant boost for your local ranking in the search engine results pages. This is an excellent way to drive a higher click-through rate and improve conversions. We will create an account for you, submit your business information to Google and ensure that locations are verified. As you can see, there are many questions and no, you are probably not ready! Let’s now repeat the “next year will be the year of mobile” syndrome when the world was rushing to pocket internet solutions without you! 2. Be prepared: Images and videos are one of your greatest opportunities! 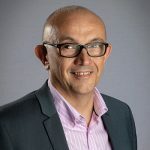 Gemma Houghton asked Gary Illyes in the Q&A at the Barcelona International Search Summit – what the biggest ignored opportunities for global businesses were, to which he replied that global businesses did not do enough to optimise their images or videos. Wow, what a mistake that is! Does your business fall into this category? Often global businesses have significant limitations on how they can optimise the contents of a page but the images and videos require a different approach to this which can make them a more flexible option. The last time Google quoted a figure for image search it represented some 25% of all search and whatever the figure is now – it’s huge. And we all know that YouTube is an enormous global phenomenon. Embedding a video on your website can result in natural shares, improved SEO and improved brand awareness. It is therefore essential that you optimise the webpages that your videos are embedded on, in order to increase their rankings in the search results. 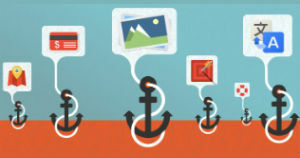 Higher rankings can lead to higher levels of more relevant, better quality traffic going to your website. 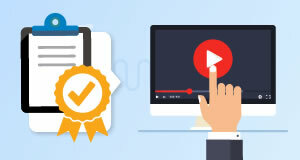 We will examine your videos and the webpages they are embedded on, and make suggestions on how you could improve the optimisation of your videos' URLs (if possible), file names, video titles and descriptions, and the webpages they are embedded on. 3. Be prepared: Book training courses for your in-house team now! All training courses listed are available for in-house training at your offices, in a town near you (examples below) or via Skype or Webex. (Online courses are half days with one hour of introduction, exercises, videos and then an hour’s conclusion). Getting ready for voice search. Using images and videos more effectively when we’re a multilingual, multinational player. SEO for CEOs who don’t know SEO. 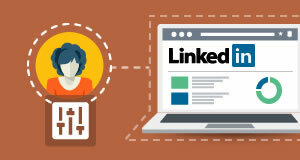 Using LinkedIn for social sales and business promotion. 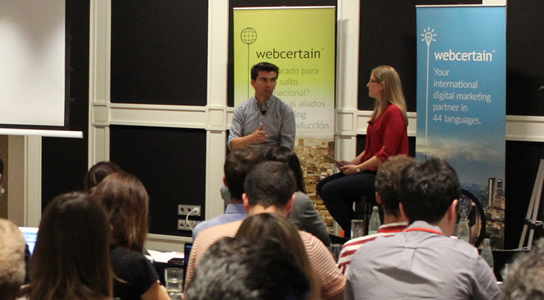 Geo-targeting, hreflang and canonical workshops for large business in-house teams. Traffic drop forensic analysis for global businesses. 4. Be prepared: Book a seat at a future International Search Summit and don’t miss out! Boston area – Date to be advised. Great article Andy, I couldn’t agree with you more regarding your conclusions on Voice Search. In the end it’s not about whether or not 50% of households will be using voice assistans in the future, but the implications it will have on the way we’ll be doing marketing :)!